Many days I feel by 5 p.m. like my day has evaporated without my noticing it. I recall that when I was 20-40 years old my days seems to stretch out much longer. Cooper does a piece on the interesting science of time perception that explains how this has a lot to do with my being in my 76th year. Put most simply, when we are younger we are attending to more new information, it takes our brains a while to process it all, and the longer this processing takes, the longer that period of time feels. When we are older we typically are taking in information we've processed before ("I've see it all. "), the brain doesn't work so hard, so it processes time faster. Our ‘sense’ of time is unlike our other senses—i.e. taste, touch, smell, sight and hearing. With time, we don’t so much sense it as perceive it...our brains take a whole bunch of information from our senses and organize it in a way that makes sense to us, before we ever perceive it. So what we think is our sense of time is actually just a whole bunch of information presented to us in a particular way, as determined by our brains. When our brains receive new information, it doesn’t necessarily come in the proper order. This information needs to be reorganized and presented to us in a form we understand. When familiar information is processed, this doesn’t take much time at all. New information, however, is a bit slower and makes time feel elongated...it isn’t just a single area of the brain that controls our time perception—it’s done by a whole bunch of brain areas, unlike our common five senses, which can each be pinpointed to specific area. So, here's the self-helpy message: How do we make our days last longer? We can feed our brains more new information - keep learning, visit new places, meet new people, try new activities, be spontaneous. The extra processing time required will make us feel like time is moving more slowly! Neuronal plasticity peaks early in life during critical periods and normally declines with age, but the molecular changes that underlie this decline are not fully understood. Using the mouse visual cortex as a model, we found that activity-dependent expression of the neuronal protein Arc peaks early in life, and that loss of activity-dependent Arc expression parallels loss of synaptic plasticity in the visual cortex. Genetic overexpression of Arc prolongs the critical period of visual cortex plasticity, and acute viral expression of Arc in adult mice can restore juvenile-like plasticity. These findings provide a mechanism for the loss of excitatory plasticity with age, and suggest that Arc may be an exciting therapeutic target for modulation of the malleability of neuronal circuits. The molecular basis for the decline in experience-dependent neural plasticity over age remains poorly understood. In visual cortex, the robust plasticity induced in juvenile mice by brief monocular deprivation during the critical period is abrogated by genetic deletion of Arc, an activity-dependent regulator of excitatory synaptic modification. Here, we report that augmenting Arc expression in adult mice prolongs juvenile-like plasticity in visual cortex, as assessed by recordings of ocular dominance (OD) plasticity in vivo. 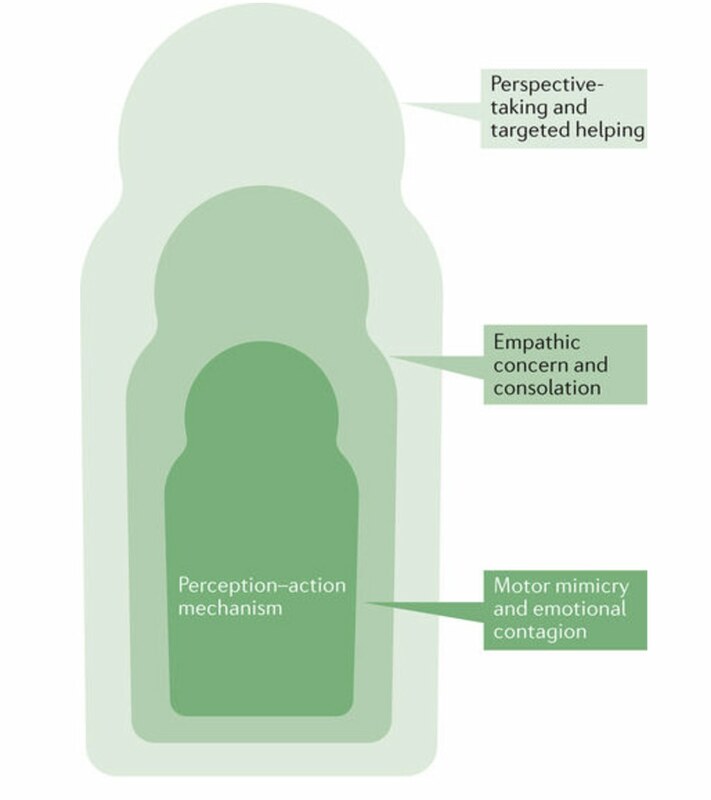 A distinguishing characteristic of juvenile OD plasticity is the weakening of deprived-eye responses, believed to be accounted for by the mechanisms of homosynaptic long-term depression (LTD). Accordingly, we also found increased LTD in visual cortex of adult mice with augmented Arc expression and impaired LTD in visual cortex of juvenile mice that lack Arc or have been treated in vivo with a protein synthesis inhibitor. Further, we found that although activity-dependent expression of Arc mRNA does not change with age, expression of Arc protein is maximal during the critical period and declines in adulthood. Finally, we show that acute augmentation of Arc expression in wild-type adult mouse visual cortex is sufficient to restore juvenile-like plasticity. Together, our findings suggest a unifying molecular explanation for the age- and activity-dependent modulation of synaptic sensitivity to deprivation. 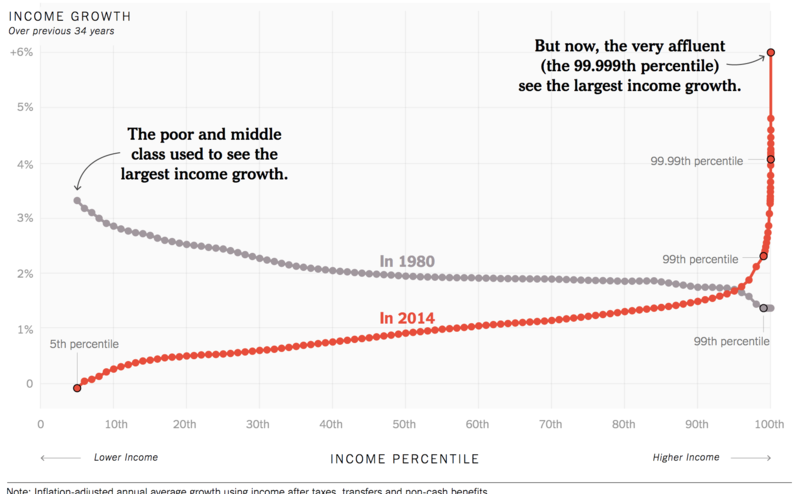 Are people really unconcerned about rising economic inequality? Forget about our brains, even the most simple nerve networks defy understanding. ...neural-network diagrams are yielding surprises — showing, for example, that a brain can use one network in multiple ways to create the same behaviours...Circuits vary in layout and function from animal to animal. The systems have redundancy that makes it difficult to pin one function to one circuit. Plus, wiring alone doesn't fully explain how circuits generate behaviours; other factors, such as neurochemicals, have to be considered. Different flavors of artificial intelligence - and, can we pull the plug? I want to pass on a few summary points from two recent sessions of the Chaos and Complex Systems seminar that I attend at the University of Wisconsin. I led the first of the sessions and Terry Allard, a retired government science administrator (ONR, NASA, FAA) led the second. Artificial intelligence (AI) comes in at least three flavors, or stages of development. There is Artificial narrow intelligence (ANI), which where we are now, crunching massive amounts of data to discern patterns that let us solve problems, like reading X-rays or deciding whether to approve mortgage loans. Then there’s artificial general intelligence (AGI, not yet happening), meant to achieve the kind of flexible and novel thinking that even human infants can do. Ideas about how to proceed include reverse engineering how the brain does what it does, making evolution happen with genetic algorithms, devising programs that change themselves as they learn (recursive self improvement), etc. Intelligence. or how intelligent something is, is a measure of ability to achieve a particular aim, to deploy novel means to attain a goal, whatever it happens to be, the goals are extraneous to the intelligence itself. Being smart is not the same as wanting something. Any level of intelligence — including superintelligence — can be combined with just about any set of final goals — including goals that strike us as stupid. So...what is the fundamental overall goal or aim of humans? Presumably, as with all other biological life forms, to perpetuate the species, which requires not having the environmental niche from which it draws support disappear, either through its own actions or though other natural forces. A super AI that might supplant us or be the next stage in our evolution would have to maintain or reproduce itself in a natural physical environment in the same way . ...bits of code that can crawl around the web doing all sorts of things more sinister than correcting spelling and grammar, like completely infecting and distorting social media, the article cites one estimate that half of the users on Twitter are bots, created by companies that either sell them or use them to promote various causes. The Computational Propaganda Research Project at the University of Oxford has described how bots are used to promote either political parties or government agendas in 28 countries. They can harass political opponents or their followers, promote policies, or simply seek to get ideas into circulation….no one is really able to explain the way they all interact, or what the impact of both real and artificial online campaigns might be on the way people think or form opinions. Maybe we’ve been imagining this scenario incorrectly all of this time. Maybe this is what “computers out of control” really look like. There’s no giant spaceship, nor are there armies of lifelike robots. Instead, we have created a swamp of unreality, a world where you don’t know whether the emotions you are feeling are manipulated by men or machines, and where — once all news moves online, as it surely will — it will soon be impossible to know what’s real and what’s imagined. Isn’t this the dystopia we have so long feared? Distinctions between human and autonomous agents are blurred in virtual worlds. What is real and what is “fake news” is difficult to ascertain. “Spoofing” is rampant. (See The curious case of ‘Nicole Mincey,’ the Trump fan who may actually be a bot.). -Artificial Intelligence is not a continuum. Human-Level Artificial General Intelligence (AGI) is not a required step to super-intelligence. -Machine evolution requires machine capability to self-code and to build physical artifacts. -People will become dependent on machine intelligence but largely unaware and unconcerned. -AI’s will be pervasive, distributed, multi-layered and networked, not single independent entities. -Super-intelligent Machines may have multiple levels of agency. There will be no single “off switch” allowing humans to pull the plug. -What can be invented, will be invented; it’s just a question of time. Finally, I point to an article by Cade Metz, "Teaching AI systems to behave themselves," that is an antidote to paranoid fantasies and questions about whether there can be an 'off switch'. A good place to begin is Aristotle’s definition: not perfect, but useful, and a starting point for a long Western tradition of reflection. Aristotle says that anger is a response to a significant damage to something or someone one cares about, and a damage that the angry person believes to have been wrongfully inflicted. He adds that although anger is painful, it also contains within itself a hope for payback. Nussbaum takes payback, or revenge, as a flawed way of making sense of the world. Except.. I don't think Nussbaum gives sufficient emphasis to payback, or punishment, as a means to upholding and enforcing social norms. The main part of her essay describes Nelson Mandela's extraordinary actions in overcoming anger to bring together two parts of a deeply divided nation. Whether the anger in question is personal, or work-related, or political, it requires exacting effort against one’s own habits and prevalent cultural forces. Many great leaders have understood this struggle, but none more deeply than Nelson Mandela...he knew that there could be no successful nation when two groups were held apart by suspicion, resentment, and the desire to make the other side pay for the wrongs they had done. Even though those wrongs were terrible, cooperation was necessary for nationhood. When the ANC (African National Congress) voted to replace the old Afrikaner national anthem with the anthem of the freedom movement, he persuaded them to adopt, instead, the anthem that is now official, which includes the freedom anthem (using three African languages), a verse of the Afrikaner hymn, and a concluding section in English. When the ANC wanted to decertify the rugby team as a national team, correctly understanding the sport’s long connection to racism, Mandela, famously, went in the other direction, backing the rugby team to a World Cup victory and, through friendship, getting the white players to teach the sport to young black children. We need our own Nelson Mandela to begin to heal the current alt-right/alt-left standoff! Smell clearly affects the anticipation and appreciation of food. Riera et al. show (in mice) that activity in olfactory sensory neurons also influences energy regulation. Mice who lose their sense of smell become leaner, not because they eat less, but because increased sympathetic nerve activity causes increased fat-burning activity. Neural correlates of the positive effects of gratitude. Gratitude is a common aspect of social interaction, yet relatively little is known about the neural bases of gratitude expression, nor how gratitude expression may lead to longer-term effects on brain activity. To address these twin issues, we recruited subjects who coincidentally were entering psychotherapy for depression and/or anxiety. One group participated in a gratitude writing intervention, which required them to write letters expressing gratitude. The therapy-as-usual control group did not perform a writing intervention. After three months, subjects performed a “Pay It Forward” task in the fMRI scanner. In the task, subjects were repeatedly endowed with a monetary gift and then asked to pass it on to a charitable cause to the extent they felt grateful for the gift. Operationalizing gratitude as monetary gifts allowed us to engage the subjects and quantify the gratitude expression for subsequent analyses. We measured brain activity and found regions where activity correlated with self-reported gratitude experience during the task, even including related constructs such as guilt motivation and desire to help as statistical controls. These were mostly distinct from brain regions activated by empathy or theory of mind. Also, our between groups cross-sectional study found that a simple gratitude writing intervention was associated with significantly greater and lasting neural sensitivity to gratitude – subjects who participated in gratitude letter writing showed both behavioral increases in gratitude and significantly greater neural modulation by gratitude in the medial prefrontal cortex three months later. Fox also points to an article suggesting a role for mu-Opioids in mediating the positive effects of gratitude. Research on violence has mainly focused on its consequences on individuals’ health and behavior. This study establishes the effects of exposure to violence on individuals’ short-term memory and cognitive control. These are key factors affecting individual well-being and societal development. We sampled Colombian civilians who were exposed either to urban violence or to warfare. We found that higher exposure to violence significantly reduces short-term memory and cognitive control only in the group actively recalling emotional states linked with such experiences. This finding demonstrates and characterizes the long-lasting effects of violence. Existing studies have found effects of poverty on cognitive control similar to those that we found for violence. This set of findings supports the validity of the cognitive theory underpinning these studies. Previous research has investigated the effects of violence and warfare on individuals' well-being, mental health, and individual prosociality and risk aversion. This study establishes the short- and long-term effects of exposure to violence on short-term memory and aspects of cognitive control. Short-term memory is the ability to store information. Cognitive control is the capacity to exert inhibition, working memory, and cognitive flexibility. Both have been shown to affect positively individual well-being and societal development. We sampled Colombian civilians who were exposed either to urban violence or to warfare more than a decade earlier. We assessed exposure to violence through either the urban district-level homicide rate or self-reported measures. Before undertaking cognitive tests, a randomly selected subset of our sample was asked to recall emotions of anxiety and fear connected to experiences of violence, whereas the rest recalled joyful or emotionally neutral experiences. We found that higher exposure to violence was associated with lower short-term memory abilities and lower cognitive control in the group recalling experiences of violence, whereas it had no effect in the other group. This finding demonstrates that exposure to violence, even if a decade earlier, can hamper cognitive functions, but only among individuals actively recalling emotional states linked with such experiences. A laboratory experiment conducted in Germany aimed to separate the effect of recalling violent events from the effect of emotions of fear and anxiety. Both factors had significant negative effects on cognitive functions and appeared to be independent from each other. Leisure just as enjoyable before as after work is done. Four studies reveal that (a) people hold a robust intuition about the order of work and leisure and that (b) this intuition is sometimes mistaken. People prefer saving leisure for last, believing they would otherwise be distracted by looming work (Study 1). In controlled experiments, however, although subjects thought their enjoyment would be spoiled when they played a game before rather than after a laborious problem-solving task, got a massage before rather than after midterms, and consumed snacks and watched videos before rather than after a stressful performance, in reality these experiences were similarly enjoyable regardless of order (Studies 2 through 4). This misprediction was indeed mediated by anticipated distraction and was therefore attenuated after people were reminded of the absorbing nature of enjoyable activities (Studies 3 and 4). These studies highlight the power of hedonic experience within the moment of consumption, which has implications for managing (or mismanaging) everyday work and leisure. People might postpone leisure and overwork for future rewards that could be just as pleasurable in the present. Identifying oneself as being overweight may be associated with adverse health outcomes, yet prospective tests of this possibility are lacking. Over 7 years, we examined associations between perceptions of being overweight and subsequent health in a sample of 3,582 U.S. adults. Perceiving oneself as being overweight predicted longitudinal declines in subjective health (d = −0.22, p less than .001), increases in depressive symptoms (d = 0.09, p less than .05), and raised levels of physiological dysregulation (d = 0.24, p less than .001), as gauged by clinical indicators of cardiovascular, inflammatory, and metabolic functioning. These associations remained after controlling for a range of potential confounders and were observed irrespective of whether perceptions of being overweight were accurate or inaccurate. This research highlights the possibility that identifying oneself as overweight may act independently of body mass index to contribute to unhealthy profiles of physiological functioning and impaired health over time. These findings underscore the importance of evaluating whether weight-feedback interventions may have unforeseen adverse consequences. In group favoritism shown by 17 month old infants. Jin and Baillargeon make observations that suggest an early origin of the 'us and them' perspective being taken to extremes in our current political climate. One pervasive facet of human interactions is the tendency to favor ingroups over outgroups. Remarkably, this tendency has been observed even when individuals are assigned to minimal groups based on arbitrary markers. Why is mere categorization into a minimal group sufficient to elicit some degree of ingroup favoritism? We consider several accounts that have been proposed in answer to this question and then test one particular account, which holds that ingroup favoritism reflects in part an abstract and early-emerging sociomoral expectation of ingroup support. In violation-of-expectation experiments with 17-mo-old infants, unfamiliar women were first identified (using novel labels) as belonging to the same group, to different groups, or to unspecified groups. Next, one woman needed instrumental assistance to achieve her goal, and another woman either provided the necessary assistance (help event) or chose not to do so (ignore event). When the two women belonged to the same group, infants looked significantly longer if shown the ignore as opposed to the help event; when the two women belonged to different groups or to unspecified groups, however, infants looked equally at the two events. Together, these results indicate that infants view helping as expected among individuals from the same group, but as optional otherwise. As such, the results demonstrate that from an early age, an abstract expectation of ingroup support contributes to ingroup favoritism in human interactions. Redistribution is supported by compassion, envy, and self interest, but not sense of fairness. Markets have lifted millions out of poverty, but considerable inequality remains and there is a large worldwide demand for redistribution. Although economists, philosophers, and public policy analysts debate the merits and demerits of various redistributive programs, a parallel debate has focused on voters’ motives for supporting redistribution. Understanding these motives is crucial, for the performance of a policy cannot be meaningfully evaluated except in the light of intended ends. Unfortunately, existing approaches pose ill-specified motives. Chief among them is fairness, a notion that feels intuitive but often rests on multiple inconsistent principles. We show that evolved motives for navigating interpersonal interactions clearly predict attitudes about redistribution, but a taste for procedural fairness or distributional fairness does not. Why do people support economic redistribution? Hypotheses include inequity aversion, a moral sense that inequality is intrinsically unfair, and cultural explanations such as exposure to and assimilation of culturally transmitted ideologies. However, humans have been interacting with worse-off and better-off individuals over evolutionary time, and our motivational systems may have been naturally selected to navigate the opportunities and challenges posed by such recurrent interactions. We hypothesize that modern redistribution is perceived as an ancestral scene involving three notional players: the needy other, the better-off other, and the actor herself. We explore how three motivational systems—compassion, self-interest, and envy—guide responses to the needy other and the better-off other, and how they pattern responses to redistribution. Data from the United States, the United Kingdom, India, and Israel support this model. Endorsement of redistribution is independently predicted by dispositional compassion, dispositional envy, and the expectation of personal gain from redistribution. By contrast, a taste for fairness, in the sense of (i) universality in the application of laws and standards, or (ii) low variance in group-level payoffs, fails to predict attitudes about redistribution. A smile is the most frequent facial expression, but not all smiles are equal. A social-functional account holds that smiles of reward, affiliation, and dominance serve basic social functions, including rewarding behavior, bonding socially, and negotiating hierarchy. Here, we characterize the facial-expression patterns associated with these three types of smiles. 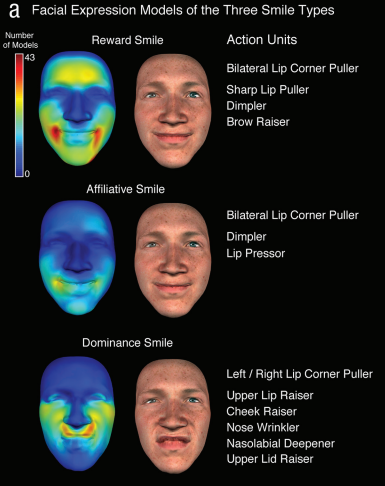 Specifically, we modeled the facial expressions using a data-driven approach and showed that reward smiles are symmetrical and accompanied by eyebrow raising, affiliative smiles involve lip pressing, and dominance smiles are asymmetrical and contain nose wrinkling and upper-lip raising. A Bayesian-classifier analysis and a detection task revealed that the three smile types are highly distinct. Finally, social judgments made by a separate participant group showed that the different smile types convey different social messages. Our results provide the first detailed description of the physical form and social messages conveyed by these three types of functional smiles and document the versatility of these facial expressions. (click on figure to enlarge). A positive mood from listening to music broadens our auditory attention. Previous studies indicate that positive mood broadens the scope of visual attention, which can manifest as heightened distractibility. We used event-related potentials (ERP) to investigate whether music-induced positive mood has comparable effects on selective attention in the auditory domain. Subjects listened to experimenter-selected happy, neutral or sad instrumental music and afterwards participated in a dichotic listening task. Distractor sounds in the unattended channel elicited responses related to early sound encoding (N1/MMN) and bottom-up attention capture (P3a) while target sounds in the attended channel elicited a response related to top-down-controlled processing of task-relevant stimuli (P3b). For the subjects in a happy mood, the N1/MMN responses to the distractor sounds were enlarged while the P3b elicited by the target sounds was diminished. Behaviorally, these subjects tended to show heightened error rates on target trials following the distractor sounds. Thus, the ERP and behavioral results indicate that the subjects in a happy mood allocated their attentional resources more diffusely across the attended and the to-be-ignored channels. Therefore, the current study extends previous research on the effects of mood on visual attention and indicates that even unfamiliar instrumental music can broaden the scope of auditory attention via its effects on mood. What is artificial intelligence today? Roughly speaking, it’s technology that takes in huge amounts of information from a specific domain (say, loan repayment histories) and uses it to make a decision in a specific case (whether to give an individual a loan)...This kind of A.I. is spreading to thousands of domains (not just loans), and as it does, it will eliminate many jobs. Bank tellers, customer service representatives, telemarketers, stock and bond traders, even paralegals and radiologists will gradually be replaced by such software. Over time this technology will come to control semiautonomous and autonomous hardware like self-driving cars and robots, displacing factory workers, construction workers, drivers, delivery workers and many others. Unlike the Industrial Revolution and the computer revolution, the A.I. revolution is not taking certain jobs (artisans, personal assistants who use paper and typewriters) and replacing them with other jobs (assembly-line workers, personal assistants conversant with computers). Instead, it is poised to bring about a wide-scale decimation of jobs — mostly lower-paying jobs, but some higher-paying ones, too...This transformation will result in enormous profits for the companies that develop A.I., as well as for the companies that adopt it. The Keynesian approach I have sketched out may be feasible in the United States and China, which will have enough successful A.I. businesses to fund welfare initiatives via taxes. But what about other countries? ...They face two insurmountable problems. First, most of the money being made from artificial intelligence will go to the United States and China. A.I. is an industry in which strength begets strength...The other challenge for many countries that are not China or the United States is that their populations are increasing, especially in the developing world. While a large, growing population can be an economic asset (as in China and India in recent decades), in the age of A.I. it will be an economic liability because it will comprise mostly displaced workers, not productive ones.